Does FDA really want public comments? "Follow the instructions for submitting comments on the agency Web site. "Mail/Hand delivery/Courier [For paper, disk, or CD-ROM> submissions]: Division of Dockets Management (HFA-305), Food and Drug Administration, 5630 Fishers Lane, rm. 1061, Rockville, MD 20852. "For access to the docket to read background documents or comments> received, go to http://www.fda.gov/ohrms/dockets/default.htm and insert the docket number(s), found in brackets in the heading of this document, into the "Search'' box and follow the prompts and/or go to the Division of Dockets Management, 5630 Fishers Lane, rm. 1061, Rockville, MD 20852..."
Does the FDA really want public comments? The easiest way for the public to comment is by email -- this route has now be cut off. The following is text from a memo I helped to provide to Natural Solutions Foundations about suggesting language to Congress to further protect Health Freedom. "This memorandum is provided for the Natural Solutions Foundation – www.healthfreedomusa.org – to support our efforts to educate Congress and decision makers on the public’s concern for real reform of FDA’s food safety and claims authority. Several bills are pending in Congress that address some of these concerns. Dr. Ron Paul of Texas has offered HR 2117, the Health Freedom Protection Act. Your legal advisory group recommends this bill as consistent with the Natural Solutions program. The bill, introduced earlier this year, mandates FDA “shall allow with reasonable and concise disclaimers not to exceed three sentences claims…” including “…the cure, mitigation, treatment, or prevention of any disease or any health-related condition.” It also addresses several other technical issues. In our opinion, this bill would greatly enhance public access to truthful and not misleading health information, in keeping with the US Supreme Court's dictum in Thompson v. Western States Medical Centers, "If the First Amendment means anything, it means that regulating speech must be a last - not first - resort. *** We have previously rejected the notion that the Government has an interest in preventing the dissemination of truthful commercial information in order to prevent members of the public from making bad decisions with the information. *** Even if the Government did argue that it had an interest in preventing misleading advertisements, this interest could be satisfied by the far less restrictive alternative of requiring ... a warning ..."
This bill, cosponsored by Congressmen Burton of Indiana, Shays, Bartlett of Maryland, and Duncan, presents a clear opportunity to enhance legal protections for Dietary Supplements and natural remedies. Its adoption would shift FDA resources from over-regulation of safe food substances to what could be considered their main task, protecting people from dangerous drugs and medical devices. Since the bill was introduced, however, the FDA has continued its blitz of confusing food regulatory initiatives. After years of “benign neglect” several initiatives, such as the CAM Guidance, Health Claims Guidance, Good Manufacturing Practices and AER Regulations – all hitting the dietary supplement and natural products markets this year – threaten to stop and reverse progress toward meeting public demand for access to nutritional supplements, natural remedies and clean, unadulterated food. We therefore recommend that pro-health Senators take up the issue of these recent threats to the intent of DSHEA when considering legislation similar to Dr. Paul’s House bill, by including the following items in addition to the important points addressed by HR 2117. Attached to this memorandum is a listing of the recommended amendments to HR 2117. A marked-up copy of the bill is also available." The Congress of the United States determines that further protections are needed to restore the People’s right to freedom of choice in health care and dietary supplementation use. Further, food safety and claims regulation is too important a matter to remain a secondary mission for the Food and Drug Administration and, it is the sense of Congress, that this vital mission be divested from FDA and administered separately." The amendments protect our First Amendment Rights by mandating that FDA "...shall not issue any regulation to limit the publication or dissemination of information published by a third party source characterizing the relationship of any nutrient to the prevention, mitigation, treatment or cure of any disease or health condition. " SEC. 6. HARMONIZATION WITH FOOD REGULATIONS. - which begins the process of protecting foods (including supplements) from being treated as "drugs." SEC. 7. COMMISSION TO STUDY DIVESTITURE OF THE FOOD AND DRUG ADMINISTRATION FOOD SAFETY AND CLAIMS AUTHORITY. - which begins the process of focusing FDA on its core mission of protecting the public from dangerous drugs and medical devices, by shifting foods safety and claim authority from the agency. Studying these issues might be a good first step. There are a number of different views being expressed. Some suggest a new Food Safety Agency is needed; others think the USDA can deal with food safety, as that is already part of its mission, while FTC can handle consumer complaints about claims, as this is already its mission. I prefer free market approaches to all safety and claims issues, with strict liability for marketers who harm their customers. 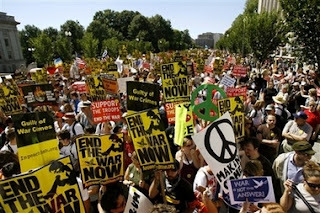 Here are images of some of the Ron Paul supporters at the peace demonstration in DC on September 15, 2007. SEPTEMBER 19, 2007: Fairfield, New Jersey, 7pm. Dr. Laibow, Gen. Stubblebine III, Ralph Fucetola (www.vitaminlawyer.com), Prof. Murray Sabrin (spokesperson for Presidential candidate and US Congressman Dr. Ron Paul - www.ronpaul2008.com) and a spokesperson for Presidential candidate Dennis Kucinich are guest speakers at the Health Freedom vs. Health Tyranny Rally. VFW Post 7925, 45 Plymouth Street, Fairfield, NJ 07004 - 937-227-9600. Your Rights to Natural Health Care are in Jeopardy! This memorandum is provided for the Natural Solutions Foundation – www.healthfreedomusa.org – to support our efforts to educate Congress and decision makers on the public’s concern for real reform of FDA’s food safety and claims authority. Pending before Congress, in conference committee, is the FDA Revitalization Act (S 1082 and HR 2900). Here I address publicly expressed concerns regarding the interaction of the AER Act (Dietary Supplement and Nonprescription Drug Consumer Protection Act – P.L. 109–462) and the recent 10th Circuit appeals decision regarding Ephedra, which allowed FDA to use voluntary AERs (Adverse Event Reports) and a drug-like risk analysis to reverse Judge Campbell’s well-considered decision allowing low levels of Ephedra in diet supporting vitamin pills. The trial judge agreed that federal law restricts the FDA when it tries to ban foods as opposed to drugs; the law requires the FDA to prove that a dietary supplement is harmful, rather than having the manufacturer prove it is safe, as required with drugs. The company president was reported as saying, “The Court made it clear that FDA has authority under DSHEA to remove unsafe dietary ingredients from the market. But the Court also clarified that FDA must follow DSHEA and cannot treat dietary supplements like drugs or medical devices. The Court made other important findings, pointing out that Congress intended that dietary supplements be treated as a subset of foods and, like other foods, are 'presumed to be safe.'" While the FDA’s attempt to apply a drug standard “risk – benefit” analysis may yet be held contrary to law, it is our recommendation that Congress address the relationship between this decision and the AER law adopted last year. This can best be accomplished in the Conference Report for the FDA Revitalization Act. We recommend that any eventual Conference Report for S 1082 / HR 2900 include report language requiring FDA to report to the Senate HELP Committee and the House Energy and Commerce Committee on how implementation of the AER Act impacts the 10th Circuit decision permitting FDA to use a drug-like “risk – benefit” analysis and the intent of Congress expressed in DSHEA that food regulation is the proper model for Dietary Supplement regulation. Then Congress can consider what steps to take to restore the intent of Congress. This issue is of pressing public concern and was first raised by the National Health Federation which asked all health freedom concerned groups to raise the issue with Congress. Since Natural Solutions Foundation is seeking to educate Congress on public health freedom concerns, it is appropriate for us to second NHF’s call for Congressional action at the FDA Revitalization Act Conference Committee level. I was asked to explain what Dietary Supplement regulation was like before the FDA's iniatives this year. I think the best way to answer this is to note, first, such regulation is not primarily about the ingredients; it is about claims. Any dietary ingredient on the market before mid June, 1994 is allowed on the market; as is any new dietary ingredient approved by the FDA. Prior to 1994, when the Dietary Supplement Health and Education Act (DSHEA) was adopted, no claims could be made regarding dietary supplements. DSHEA allowed certain types of claims; limited or forbid others. 1. Allowed: General Wellness Claims ("take vitamin C and feel good") and claims about Classical Deficiency Diseases ("take 60 mg vitamin C daily and avoid scurvy"). 2. Allowed: Normal Structure and Function Claims (which characterize the relationship between a nutrient and the normal function or structure of the body). A 30 day post-marketing notice of claims is required. This type of claim is the typical DS product claim. 3. Allowed only after FDA approval: Health Claims (which characterize the relationship between a nutrient and a health condition). The FDA approved so few health claims that Durk Pearson and Sandy Shaw sued the FDA. In 2000 they won (Pearson v Shalala) thereby forcing the FDA to consider "conditional" or "qualified" health claims where there was not necessarily "Significant Scientific Agreement." The SSA standard, which is mentioned in DSHEA for health claims, is high than the standard commercial substantiation standard of 'Competent and Reliable Scientific Evidence.' The Court basically held that the CRSE standard would apply for such conditional or qualified claims. This is similar to Traditional Use Claims that have to disclose the limits on CRSE for such uses. In 2004 FDA had stated, "FDA intends to apply a standard for substantiating claims for dietary supplements that is consistent with the Federal Trade Commission's (FTC's) standard for dietary supplements and other health related products of 'competent and reliable scientific evidence'." 4. Not Allowed: Medical claims (prevent, mitigate, treat, cure) are never allowed for dietary ingredients... as such claims would make the ingredients "drugs" -- even where there is SSA about the claim. This is contrary to the 2002 Supreme Court case of Thompson v Western States that held, "If the First Amendment means anything, it means that regulating speech must be a last - not first - resort... We have previously rejected the notion that the Government has an interest in preventing the dissemination of truthful commercial information in order to prevent members of the public from making bad decisions with the information... Even if the Government did argue that it had an interest in preventing misleading advertisements, this interest could be satisfied by the far less restrictive alternative of requiring ... a warning that the [product] had not undergone FDA testing and that its risks were unknown." That's where we were by the mid 2000's. Then, this year, FDA came out with a series of regulatory initiatives: the anti-CAM draft guidance and the Health Claims draft guidance (as well as the Good Manufacturing Process regulations and, shortly, the regulations for the new Adverse Events Reporting law). The draft guidances, especially, would change the playing field by creating a new category of "CAM Products" (without Congressional approval) and by reimposing the SSA standard on all health related claims, contrary to the FDA's 2004 statement and the intent of Congress in adopting DSHEA that Dietary Supplements should be regulated as foods, not drugs. Retired US Army Major General Albert N. Stubblebine III has returned to the Nation's Capital to impress upon Members of Congress the importance of protecting the safety of America's food supply. Briefing Congressional staff, Gen. Stubblebine warns that giving the FDA dual responsibility for both food and drug regulation puts the nation's food supply at serious risk. Pressures on the FDA to degrade the food supply for commercial reasons linked to "Users Fees" for drug regulation lead to the diseases of under nutrition: cancers, heart disease and stroke, diabetes and obesity. Washington DC (PRWEB) August 29, 2007 -- Retired US Army Major General Albert N. Stubblebine III, President of the Natural Solutions Foundation ( http//www.HealthFreedomUSA.org ), has returned to Washington this week for a series of briefings designed to educate Congressional staffers on pressing food safety issues. He will be recommending to senior staff members and Congressmen and women that Congress correct the basic error made in 1938 when both food and drug regulation responsibilities were given to a single agency, the FDA. Because clean food and supplements provide an economic competitor to allopathic treatments for the chronic diseases of under nutrition, powerful interests push the FDA to attack clean, natural food and remedies to support their economic interest in sales. FDA raids on companies which produce natural products and on the offices of natural health care providers are escalating under this climate of pressure. Additionally, increased FDA inspections and enforcement activities to limit health claims by small companies are also on the rise (http://www.fda.gov/oc/whitepapers/enforce.html). The World Health Organization (WHO) and Food and Agriculture Organization (FAO) identify the "non-communicable preventable epidemic diseases of under nutrition" as cancers, cardiovascular disease and stroke, diabetes and obesity (http://whqlibdoc.who.int/trs/WHO_TRS_916.pdf). These conditions are the principle killers in the developed world and represent the lion's share of pharmaceutical profit. Natural health advocates believe that these diseases of chronic under nutrition are best prevented and reversed by food and dietary supplements which provide the body with the nourishment it needs. They contend that the unlabeled, genetically modified, irradiated, antibiotic-, pesticide- and hormone-treated plant and animal components commonly found in the modern processed food supply are responsible for most diseases world-wide since the pattern of disease rapidly changes once an industrialized ("Western") diet is adopted (http://www.sdearthtimes.com/et1101/et1101s18.html). These food production processes and treatments are currently permitted by the FDA regulations and Codex Alimentarius (http://www.codexalimentarius.net/web/index_en.jsp) standards and guidelines. General Stubblebine and Foundation Medical Director, Rima E. Laibow, MD, representing the Natural Solutions Foundation (http://www.HealthFreedomUSA.org) have attended, over the past several years, a series of international food regulatory meetings, including the 2007 Codex Alimentarius Commission meeting in Rome. They have also met with Heads of State, Ministers of Health, Food Production Ministers, International Codex delegates, journalists, consumer and health care activists on several continents, exchanging ideas and developing effective strategies for countries to protect their traditional natural food sources and remedies. The General's message to Congress is contained in an Educational Briefing Document entitled: "Congressional Choice: Health Freedom or Health Tyranny". 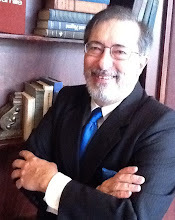 States Gen. Stubblebine in the Educational Briefing Document:"The Natural Solutions Foundation and its hundreds of thousands of supporters, along with the 250,000,000 million Americans who rely on dietary supplements, urge Congress to correct the basic error of the 1939 legislation which set up the FDA as an agency which regulated both food and drugs and create a new federal agency for the sole purpose of regulating foods. This new agency would have a separate unit within it responsible for IG oversight to make sure that no regulator or scientist had any conflict of interest and that consumer advocates controlled the agency's activities in a transparent and effective fashion." In addition to the Food Safety Agency concept, the Natural Solutions Foundation is also educating Congress on the benefits of Dr. Ron Paul's Health Freedom Protection Act, HR 2117 (http://thomas.loc.gov/cgi-bin/query/C?c110:./temp/~c11049bgcR) , currently pending before the House of Representatives. The Foundation, which has generated a half million citizen messages to Congress and the FDA this year, is calling for public hearings on these these matters.